The tiger is the symbol of India's wealth of wildlife. The magnificent tiger, Panthera tigris, is a striped animal. The tiger is the symbol of India's wealth of wildlife. The magnificent tiger, Panthera tigris (Linnaeus), is a striped animal. It has a thick yellow coat of fur with dark stripes. The combination of grace, strength, agility and enormous power has earned the tiger its pride of place as the national animal of India. Out of eight races of the species known, the Indian race, the Royal Bengal Tiger, is found throughout the country except in the north-western region and also in the neighbouring countries, Nepal, Bhutan and Bangladesh. To check the dwindling population of tigers in India ‘Project Tiger’ was launched in April 1973. So far, 27 tiger reserves have been established in the country under this project, covering an area of 37,761 sq km. To check the dwindling population of tigers in India ‘Project Tiger’ was launched in April 1973. The song Jana-gana-mana, composed originally in Bengali by Rabindranath Tagore, was adopted in its Hindi version. Playing time of the full version of the national anthem is approximately 52 seconds. A short version consisting of first and last lines of the stanza (playing time approximately 20 seconds) is also played on certain occasions. The Peacock, Pavo cristatus (Linnaeus), the national bird of India. It is symbolic of qualities like beauty, grace. The Peacock, Pavo cristatus (Linnaeus), the national bird of India. It is symbolic of qualities like beauty, grace, pride and mysticism. Peacocok is a colourful, swan-sized bird, with a fan-shaped crest of feathers, a white patch under the eye and a long, slender neck. The male of the species is more colourful than the female, with a glistening blue breast and neck and a spectacular bronze-green train of around 200 elongated feathers it is able to expand its tail erect like fan as ostentatious display. The female is brownish, slightly smaller than the male, and lacks the train. These birds do not sound as beautiful as they look they have a harsh call. The elaborate courtship dance of the male, fanning out the tail and preening its feathers is a beautiful sight. The peacock is widely found in the Indian sub-continent from the south and east of the Indus river, Jammu and Kashmir, east Assam, south Mizoram and the whole of the Indian peninsula. Found wild in India (and also domesticated in villages) they live in jungle lands near water. They were once bred for food but now hunting of peacocks is banned in India. It is fully protected under the Indian Wildlife (Protection) Act, 1972. The national calendar based on the Saka Era with Chaitra as its first month and a normal year of 365 days was adopted from 22 March 1957. Dates of the national calendar have a permanent correspondence with dates of the Gregorian calendar : 1 Chaitra falling on 22 March normally and on 21 March in leap year. The National flag is a horizontal tricolor of deep saffron (kesari) at the top, white in the middle and dark green at the bottom. The National flag is a horizontal tricolor of deep saffron (kesari) at the top, white in the middle and dark green at the bottom in equal proportion. The saffron color indicates the strength and courage of the country. The white middle band, indicates peace and truth with Dharma Chakra. The last band is green in colour shows the fertility , growth and auspiciousness of the land. The ratio of width of the flag to its length is two to three. In the centre of the white band is a navy blue wheel which represents the chakra. Its design is that of the wheel which appears on the abacus of the Sarnath Lion Capital of Ashoka. The chakra intends to show that there is life in movement and death in stagnation. Its diameter approximates to the width of the white band and it has 24 spokes. The design of the national flag was adopted by the Constituent Assembly of India on 22 July 1947. Lotus scientifically known as Nelumbo Nucifera is the National Flower of India. It is a sacred flower and occupies. Lotus scientifically known as Nelumbo Nucifera is the National Flower of India. It is a sacred flower and occupies a unique position in the art and mythology of ancient India and has been an auspicious symbol of Indian culture since time immemorial. The Lotus symbolises divinity, fertility, wealth, knowledge and not to forget enlightenment. Lending to its uniqueness, the flower grows in murky waters and rises on a long stalk above the surface to bloom glorious. It is also a symbol of triumph, since the lotus is rooted in the mud and can survive to regerminate for thousands of years. It represents long life, honor, and good fortune. Untouched by the impurity, lotus symbolises the purity of heart and mind. The Mango is the national fruit. It has been cultivated in India since time immemorial. There are over 100 varieties. The Mango is the national fruit. It has been cultivated in India since time immemorial. There are over 100 varieties of mangos in India, in a range of colors, sizes, and shapes. Common in the tropical part of the world, mangos are savored for their sweet juice and bright colors. People in India eat mangos ripe, or prepare them green as pickles or chutneys. They are rich in vitamin A, C, and D.
The song Vande Mataram, composed in Sanskrit by Bankimchandra Chatterji, was a source of inspiration. The National Tree of India is The Banyan Tree. This huge tree towers over its neighbors and has the widest. The National Tree of India is The Banyan Tree. This huge tree towers over its neighbors and has the widest reaching roots of all known trees, easily covering several acres. It sends off new shoots from its roots, so that one tree is really a tangle of branches, roots, and trunks. The banyan tree regenerates and lives for an incredible length of time--thus it is thought of as the immortal tree. 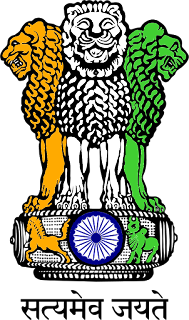 The national emblem of India is an adaptation of the Buddhist Lion Capital of Asoka at Sarnath, near Banaras in the north Indian state of Uttar Pradesh. 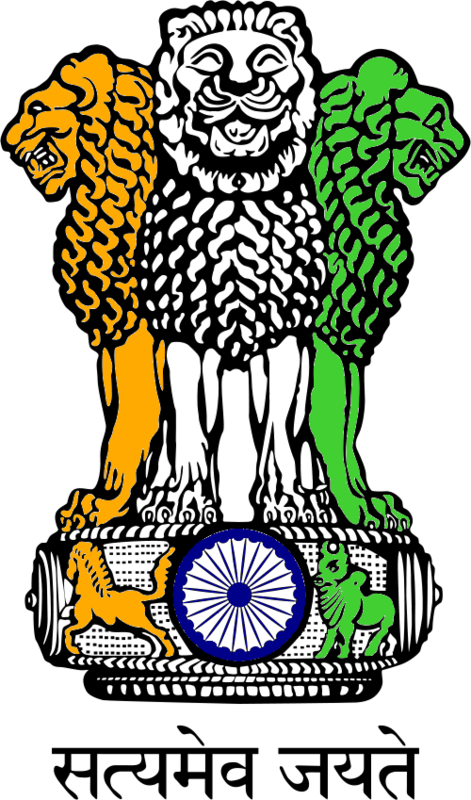 The national emblem of India is an adaptation of the Buddhist Lion Capital of Asoka at Sarnath, near Banaras in the north Indian state of Uttar Pradesh. The Lion Capital was erected in the third century BC by Emperor Ashoka to mark the spot where the Buddha first proclaimed his gospel of peace and emancipation. The national emblem is thus symbolic of contemporary India's reaffirmation of its ancient commitment to world peace and goodwill. It has four lions, resting on a circular abacus. The fourth lion is on the rear and hence hidden from view. The emblem symbolizes power, courage and confidence. The abacus is girded by four smaller animals - guardians of the four directions: the lion of the north, the elephant of the east, the horse of the south and the bull of the west. The abacus rests on a nelumbo nucifera in full bloom, exemplifying the fountainhead of life. Usually inscribed below the abacus in Devanagari script is the motto Satyameva Jayate ("Truth Alone Triumphs"). This is a quote from Mundaka Upanishad, the concluding part of the sacred Hindu Vedas. The emblem forms a part of the official letterhead of the Government of India, and appears on all Indian currency as well. It also sometimes functions as the national emblem of India in many places and appears prominently on the diplomatic and national Passport of the Republic of India. The state emblem is an adaptation from the Sarnath Lion Capital of Ashoka. In the original, there are four lions, standing back to back, mounted on an abacus with a frieze carrying sculptures in high relief of an elephant, a galloping horse, a bull and a lion separated by intervening wheels over a bell-shaped lotus. Carved out of a single block of polished sandstone, the capital is crowned by the Wheel of the Law (Dharma Chakra). In the State emblem, adopted by the Government of India on 26 January 1950. The wheel appears in relief in the centre of the abacus with a bull on right and a horse on left and the outlines of other wheels on extreme right and left. The words Satyameva Jayate from Mundaka Upanishad, meaning ‘Truth Alone Triumphs’, are inscribed below the abacus in Devanagari script. Hockey, in which India has an impressive record with eight Olympic gold medals, is officially the national sport. Hockey, in which India has an impressive record with eight Olympic gold medals, is officially the national sport. The Golden Era of hockey in India was the period from 1928 - 1956 when India won 6 consecutive gold medals in the Olympics. During the Golden Era, India played 24 Olympic matches, won all 24, scored 178 goals (at an average of 7.43 goals per match) and conceded only 7 goals. The two other gold medals for India came in the 1964 Tokyo Olympics and the 1980 Moscow Olympics.